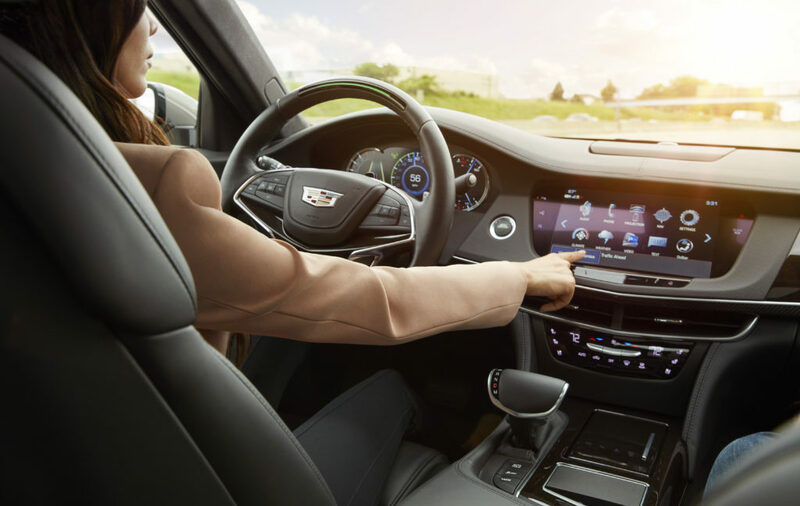 Unlike Tesla’s Autopilot, which demands drivers keep their hands on the wheel, Cadillac calls Super Cruise “the world’s first true hands-free driver assistance feature.” The system, currently available for the CT6, lets the car drive itself on more than 130,000 miles of freeway. 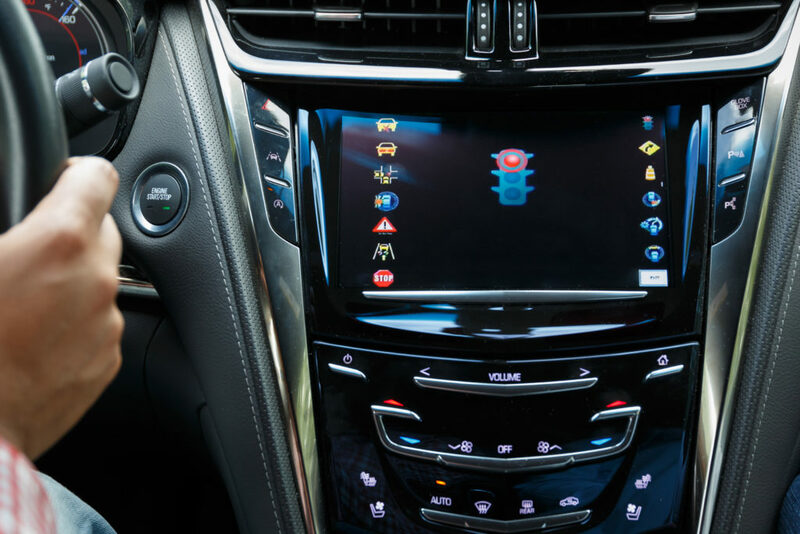 However, there’s a catch: The driver must still pay attention and can’t really do anything too interesting with their hands, merely “common tasks … such as using the navigation system, adjusting the audio system or taking a phone call,” according to Cadillac. “Even while using Super Cruise, drivers must always pay attention and not use a handheld device,” the OEM cautions. Super Cruise software will monitor the human with an interior camera and alert them if it deems the driver too distracted. If a driver seems incapacitated, the car will stop itself and alert authorities with OnStar. The cheapest version of Super Cruise had been a $5,000 upgrade to the $65,295 Premium Luxury CT6 trim. The option had been available on all Premium Luxury trims made after Sept. 6, 2017 and is standard on the 2018 Platinum trim. A Cadillac spokesman did not respond to an inquiry Wednesday asking if the OEM will restrict repair capabilities given the proximity of Super Cruise sensory technology to “cosmetic” repairable surfaces such as the windshield and front end. Currently, GM restricts CT6 structural parts and measurements to its certified network but permits cosmetic repairs. No other Cadillacs or GM vehicles are so restricted. Either way, some combination of dealerships, collision repairers and glass shops will need to be ready for this technology and follow OEM repair procedures or risk customer lives and shop reputations. Witness the scrutiny whenever a Tesla crashes on Autopilot — a system that arguably gives the vehicle less responsibility than Super Cruise — and imagine media and federal investigators tearing into your work. Just because the driver is supposed to watch the road doesn’t mean the shop will duck responsibility (or bad PR) for screwing up some aspect of the system. Consider the example shared in a May 2017 Hammer & Dolly column by P&L Consultants co-owners Larry Montanez in which a shop had to cover the bill after its failure to properly restore and calibrate a backup camera system using OEM procedures led to a customer banging a 2014 Impala into an Audi. The fact that the OEM tells owners not to rely solely on the camera and to pay attention clearly wasn’t enough to get the shop off the hook — nor arguably should it have been. Yeung recalled a recent high-profile Tesla Autopilot crash and asked the audience to consider the liability if the vehicle had last been calibrated at their shop. So many vehicles have such technology, “it is our duty” to return it repaired to the best of the shop’s ability with properly trained employees, Yeung said. 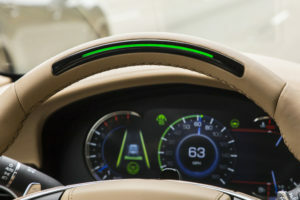 The abbreviation refers to a combination of “vehicle-to-vehicle” (V2V) and “vehicle-to-infrastructure” (V2I) technology in which the car can “talk” to other devices on the road, in theory allowing safety and efficiency activity like vehicles warning each other off from an impact and coordinating their movements with traffic signals. “NHTSA estimates that safety applications enabled by V2V and V2I could eliminate or mitigate the severity of up to 80 percent of non-impaired crashes, including crashes at intersections or while changing lanes,” the National Highway Traffic Safety Administration wrote in a 2016 news release. The trick is having enough other devices able to listen to the Caddy and talk back. General Motors started by installing 5.9 GHz Dedicated Short-Range Communications V2V standard on the 2017 Cadillac CTS in 2017, and the system could “handle 1,000 messages per second from vehicles up to about 1,000 feet away” — but OEMs with similar tech were hard to come by. Cadillac didn’t respond to our inquiry about the compatibility of its V2X with other OEMs. Toyota’s format uses seven channels on the 5.9GHz spectrum for its DSRC, and safety and quality communications manager Brian Lyons said in April the system could communicate with GM’s vehicles. “I know we talk to them a lot,” Lyons said of General Motors. He said GM, Nissan and Honda were all “really high on DSRC.” Toyota’s system also sounded similar to what NHTSA proposed in 2016. However, it wasn’t able to communicate with a different technology Ford plans to use for its V2X starting in 2019, according to Lyons. Rapid adoption of a consistent V2X across the auto industry seems likely to eat into collision frequency, which is great for society but bad for shop business, and the Cadillac and Toyota announcements suggest this trend could start early next decade.